Drug Law Center gives you the information you need to explore your legal options. Valsartan is a popular medication prescribed by doctors to treat high blood pressure and heart failure. The patent on Valsartan has expired and is also known as Losartan, Irbesartan, Azilsartan, Olmesartan, Eprosartan, Candesartan and Telmisartan. In July, 2018 Valsartan (and other similar angiotensin II receptor blocker medications) were ordered recalled from the market by the FDA when it was discovered that lots were contaminated with N-nitrosodimethylamine (NDMA) due to a defect with the manufacturing process. The concern about NDMA is that it is widely considered to be a carcinogen. The attorneys at the Drug Law Center LLC are currently investigating cases where people have developed cancer after taking Valsartan (and similar medications) from 2015 through present. If you or a family member took Valsartan and developed one of the below cancers or injuries, we are interested in speaking with you regarding your legal options and joining pending lawsuits. Contact us today for a Free Valsartan lawsuit case review. In July 2018, the FDA (Food and Drug Administration) began recalling drugs containing valsartan. The federal agency stated that the medication to treat heart failure and high blood pressure contained a toxic chemical. The chemical N-nitrosodimethylamine (NDMA) compound has known carcinogenic properties. If you or a loved one took Valsartan from 2015 to present and developed one of the above complications, you may be entitled to file a lawsuit against the manufacturers or other entities to recover compensation. Begin the legal process and contact a Valsartan cancer attoreny today. Valsartan (Diovan) is a popular medication prescribed by doctors to treat congestive heart failure (CHF) and high blood pressure. The drug is classified as an ARB (angiotensin receptor blocker) that is used to extend life longevity after a patient suffers a heart attack. Doctors prescribed valsartan to patients who have previously suffered from heart failure because the medication is known to relax blood vessels and improve circulatory issues and blood flow. The medication helps to lower high blood pressure and can prevent kidney problems, heart issues and stroke. The FDA approved valsartan for the use in numerous generic medications to treat left ventricular dysfunction, left ventricular failure, heart failure, and hypertension. The medication as prescribed in varying doses and is sometimes combined with hydrochlorothiazide (HCTZ) for the treatment of hypertension. Recently, Chinese drug manufacturer Zhejiang Huahai Pharmaceutical issued a release stating that N-nitrosodimethylamine had been discovered in their generic valsartan products. The pharmaceutical company was supplying the impure medication containing NDMA to drug companies in the United States including Major Pharmaceuticals, Teva Pharmaceuticals Industries Ltd. and Solco Healthcare. Once the contaminated products were acquired, these drug companies processed the medication and distributed tainted valsartan pills and tablets to the American pharmaceutical market. For years, these companies have made the drug available to consumers. Can be created when salting, browning or grilling some meats. Researchers have identified N-nitrosodimethylamine has been linked to cancer in animals that formed cancerous tumors in the respiratory tract, kidney and liver. NDMA is also associated with nasal cancer, lung cancer, kidney cancer, colorectal cancer, gastric cancer and liver cancer and might likely cause other cancerous conditions in all organs. Because of the animal testing results, scientists have label NDMA as a probable human carcinogen, making them highly dangerous to everyone. On July 13, 2018, the FDA released a safety communication warning announcing that pharmaceutical medications containing contaminated valsartan would be voluntarily recall from the medical marketplace. The federal agency released a list of other medications containing unadulterated valsartan that were not being pulled from the pharmaceutical marketplace. The products that were recall were processed and distributed by specific drug companies. High potassium response including a tingling sensation, muscle weakness, week pulse, or slowed heart rate. The FDA recommends that patients speak with their doctors about the medications they are taking before discontinuing any drug without their doctor’s permission. The American Heart Association says that quitting a medication without supervision could be dangerous to the patient’s health. 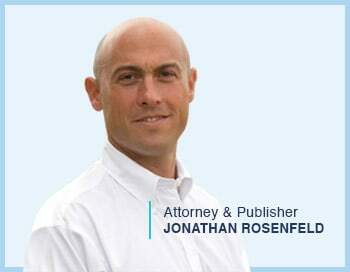 Do You Have Questions About Your Legal Options Related To The Valsartan Recall? Attorneys at the Drug Law Center are currently reviewing all types of cases related medical complication associated with Valsartan. If you or a family member experienced serious medical side effects or developed cancer after taking Valsartan, contact our office for a free review of your legal rights and options for a financial recover. All consultations are free and confidential. In August 2017, the U.S. Attorney’s Office of the Federal Justice Department announced that Mylan Inc., a large pharmaceutical company, and Mylan Specialty L.P. settled a federal liability case by paying $465 million. The federal government had alleged that both companies violated the U.S. False Claims Act when they misclassified their brand-name EpiPen ‘epinephrine delivering device’ as a generic product, which allowed them to underpay Medicaid on earned rebates. 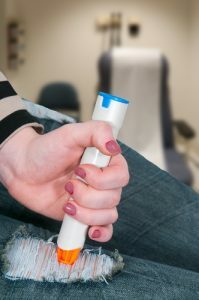 This financial settlement agreement followed the March 2017 announcement by Pennsylvania-based Mylan N.V. that their manufacturing partner Pfizer-owned Meridian Medical Technologies would expand a voluntary recall of their defective EpiPen auto injectors. This involved selected lots of the brand-name delivery device that included the EpiPen and EpiPen Junior. The generic forms of the epinephrine delivery device were not included in the voluntary recall. The Nuvasive Magec System is an effective magnetic technology that treats scoliosis using adjustable growing rods. In the past, these growing rods needed to be replaced during follow-up surgeries. However, the latest minimally invasive technology allows the rods to be adjusted using an external remote controller to avoid repeated surgical procedures. The newly redesigned Nuvasive Magec System can treat idiopathic and early-onset scoliosis. In early September 2016, the Food and Drug Administration cleared the Nuvasive spinal implant system to treat patients suffering from early-onset scoliosis involving comprehensive spinal deformities. Their “RELINE” device is the only available small stature system manufactured with ‘easy to use’ components and small adjustable rods to maximize successful surgical outcomes in the U.S. The FDA 501(K) clearance indicates that the adjustable rods are safe to use with Magnetic Resonance Imaging (1.5 T) devices. The Sorin 3T Heater Cooler System is an advanced medical device used in operating rooms around the world. 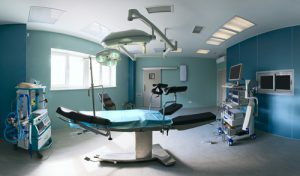 The machine regulates the patient’s body temperature during complex heart surgeries that require the heart and the flow of blood to be stopped during the procedure. Germany-based LivaNova Inc, the manufacturer of Sorin 3T Heater Cooler, created the device that uses three unique circuits to make sure the patient’s body is sufficiently heated or cooled throughout the surgery. However, in recent years, the machine has been linked to TM (non-tuberculosis mycobacteria) infections and other severe side effects. Since the end of 2016, the manufacturer of the device, the Centers for Disease Control and Prevention (CDC), and hospitals throughout the U.S. have warned patients who have undergone cardiopulmonary operations involving the Sorin 3T Heater Cooler System. 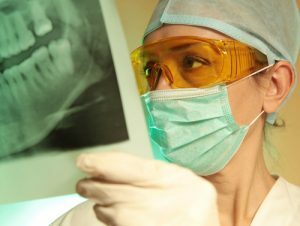 Their urgent warnings have informed patients of the potential risk of exposure to Mycobacterium chimaera contamination involving deadly bacteria that could potentially grow in the device’s water tank. If the bacteria are present, they can aerosolize from the machine and spread throughout the OR (operating room) and into the patient’s chest opened cavity through the air or through a transfer onto surgical tools. Amiodarone (pacerone & nexterone) is a medication formulated to improve heartbeat rhythm. 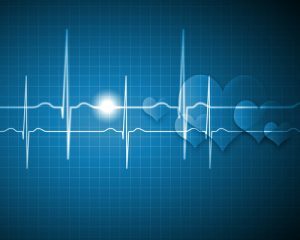 Doctors prescribe the drug to patients with life-threatening ventricle-related heart rhythm disorders to ensure the heart beats normally. The ventricles are the heart’s lower chambers that allow blood flow out from the heart. The medication Amiodarone (pacerone) is affected for treating ventricular fibrillation and ventricular tachycardia. The medication was first discovered in 1961 and received final FDA approval in December 1985. The drug has not been approved by the Food and Drug Administration (FDA) for any other condition. The DePuy Synthes Craniomaxillofacial Distraction System (external mandibular fixator) consists of multiple internal distractors that stabilize or lengthen lower jaw bones and along the side of the lower jaw bone plate. Surgeons implant the device in adults, children, and infants to correct post-traumatic and congenital birth jaw bone defects. When installed properly, the distractors can gradually expand the length of the bone. DePuy Synthes is a subsidiary of the healthcare and pharmaceutical giant Johnson & Johnson. Tecfidera (dimethyl fumarate) is a highly effective oral drug brought to the medical marketplace by Biogenic, Inc. to treat MS (multiple sclerosis). The Food and Drug Administration (FDA) approved the drug in March 2013 to prevent the relapse of MS. 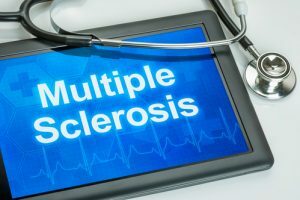 However, one reported case has been noted on the updated FDA drug label (December 2014) linking Tecfidera (dimethyl fumarate) taken for multiple sclerosis with progressive multifocal leukoencephalopathy (PML), life-threatening brain infection. This is the fourth case reported to the FDA, which resulted in an increased warning of the dangerous life-threatening side effects when taking medications to treat MS. The initial three cases of PML are apparently associated with the oral medication fingolimod among patients who had suffered severe low lymphocyte count (lymphopenia). However, the fourth case happened with “a patient with only moderate lymphopenia” that has raised concerning questions about Tecfidera’s effectiveness versus its safety. In 2008, Biomet, Inc. launched their medical Comprehensive Reverse Shoulder System Humeral Tray device as a shoulder replacement implant to restore a patient’s arm movement. The clearance of the device by the Food and Drug Administration (FDA) bypassed the need for human clinical trials. Instead, the device was made available in the medical marketplace under the 510(K) fast-track program after Biomet showed that their new device was “substantially equivalent” to other shoulder replacement devices that had been previously approved by the FDA previously. The comprehensive reverse shoulder system by Zimmer Biomet (in 2015, Zimmer Holdings acquired Biomet) provided significant benefits to patients who are suffering from rotator cuff tears who have developed severe shoulder arthritis arthroplasty conditions. 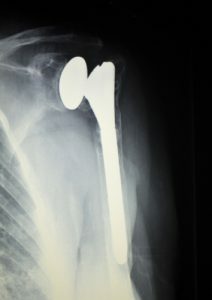 In addition, surgeons use the new reverse shoulder system for patients who require a joint replacement from a previously failed implant device. When properly surgically implanted, the shoulder replacement device assists patients by restoring their arm movement. The infection injury attorneys at the Drug Law Center are reviewing and accepting cases from clients who suffered injuries caused by preventable superbugs.